This Cole Bag is offered with a contrasting color applique sewn directly onto the canvas then monogrammed. A nice splash of color on the natural canvas bag. Please choose your applique color & font! 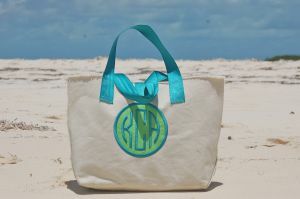 The monogram thread color will match the handles!